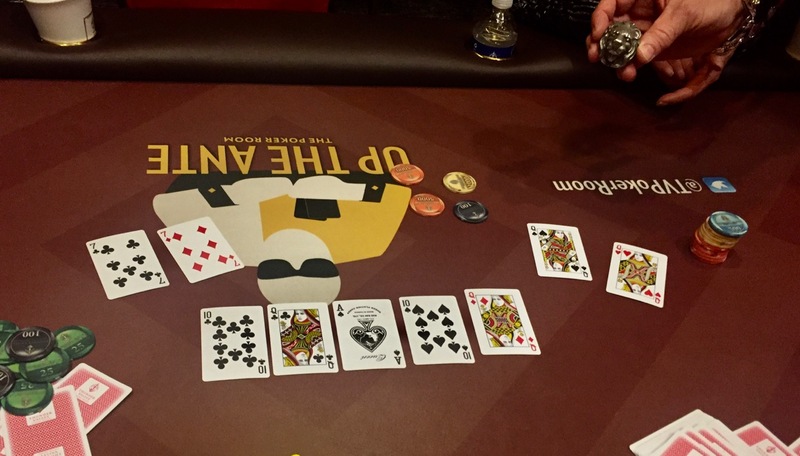 Apparently, @WPT Champions Club member Pat @FlyinLyons only plays quads 'round these parts. Pat's hand is on the right ... and his cards, too in #TVWSOPCircuit Main Event Day 1B. Pat has pocket Queens, all in against pocket Sevens. That's how the Lyon rolls.